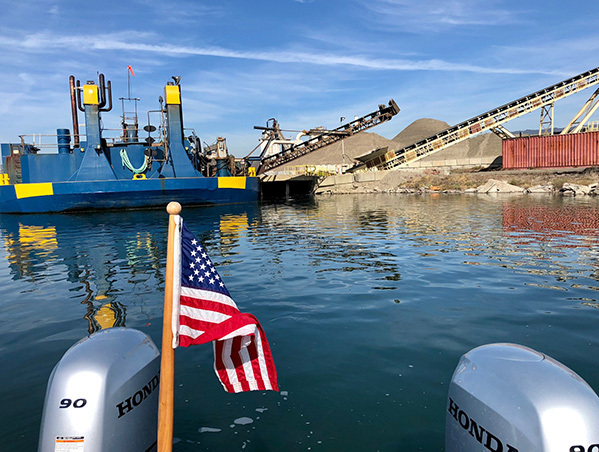 On a recent boat patrol, Executive Director Sejal Choksi-Chugh caught a sand miner in action and documented the vessel slowly transferring the Bay's sand to a shoreline facility. Sand miners remove sand from the floor of the Bay to be sold for a profit to make concrete. See a recent KPIX report on sand mining's harm to San Francisco Bay.